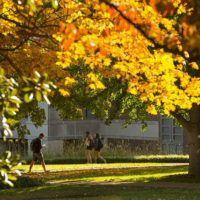 Finalists for the 2019 Academic Pathways Postdoctoral Fellowship Program will be on campus Feb. 18-22 to explore research directions with Vanderbilt faculty members and learn more about the opportunities that would be available to them at Vanderbilt. The finalists will present on their current research and share some of their new project ideas during the Academic Pathways Fellowship Symposium on Feb 22. The Symposium, which is open to the Vanderbilt community, will be held in the E. Bronson Ingram College Multi-Purpose Room (1003) from 8:30 a.m. to 1 p.m. The goal of the Academic Pathways Fellowship is to enable fellows to develop an independent research program and participate in career development activities designed to prepare them to be highly competitive candidates for academic careers. 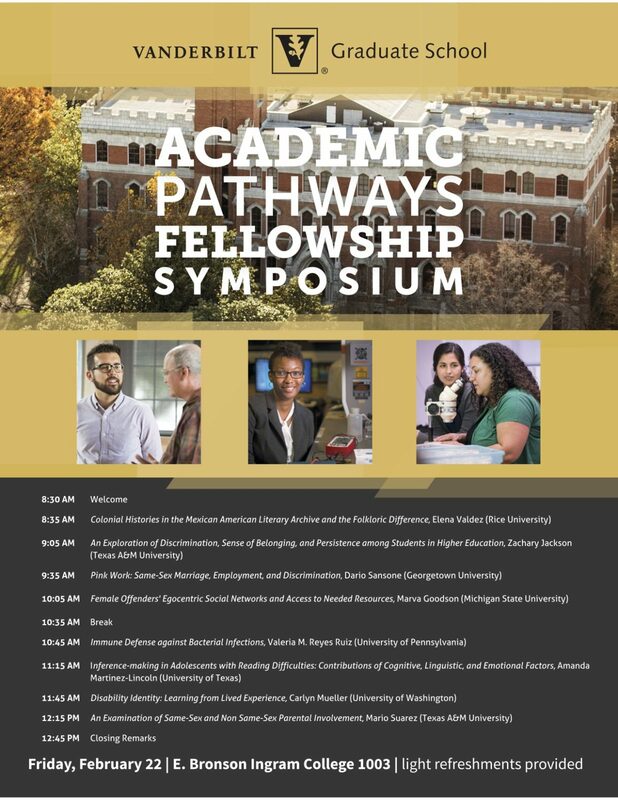 Sponsored by Vanderbilt’s Office of the Provost with additional funding from the Alliances for Graduate Education and the Professoriate of the National Science Foundation, the Academic Pathways program seeks to address the acute need for greater diversity within the professoriate.